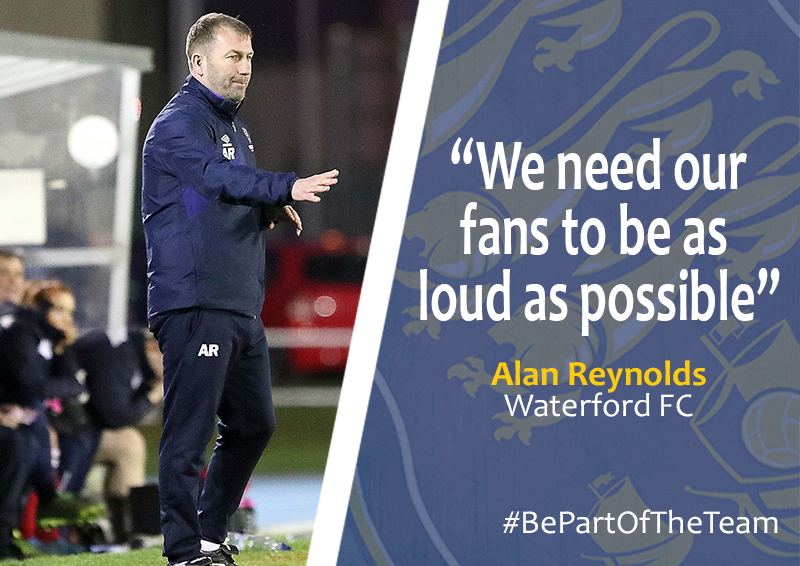 Waterford FC Coach Alan Reynolds is putting out a final appeal to the people of Waterford City and County to get behind the team in their crunch SSE Airtricity League First Division clash against Longford Town at the RSC tonight. 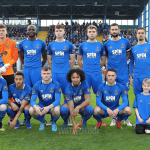 The Blues currently sit top of the league table but are missing a number of key players ahead of this massive game and the Blues coach hopes that the supporters will be in fine voice for the visit of Alan Matthews side. Speaking ahead of the game this evening, Reynolds said, “Tonight will be a tough game as we’re not In a great place with injuries at the moment and it’s a difficult enough time for the lads. We have young lads that are trying to step in, the likes of Jack Lynch and John Martin. “When you think back to pre-season and you see the Premier Division sides that we played, we did really well at the time. We’re not hiding anything here because we’re not playing as well as we should be. “It’s a hundred miles an hour football at the minute and we’re having to work hard for results but we all know that the First Division is a tough league to get out of and we’re working hard at trying to do that. 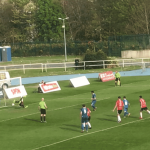 “We have players that will score goals like David McDaid and O’Sullivan. Derek Daly got a big goal for us the other night so we have to keep at it because it’s tough at the minute but one thing for sure is that we’re really working hard. Reynolds is really hoping for a massive home following for the visit of Longford. “We need the support especially with all the injuries. It makes a difference. The RSC pitch is in great nick and that’s down to the great work of Darren Sealy and his staff. We need our fans to be as loud as possible tonight. “The numbers have been high and that’s what we’d ask that people will keep going and get behind us. We have young lads playing at the minute and they need all the help that they can get from our supporters.